PORTLAND, MAINE -- 04/21/14 -- Elvers squirm in a bucket outside the Delaware Valley Fish Company in Portland on April 21, 2014, as they are delivered by truck from Waldoboro. Halfway through the 2018 fishing season for baby eels, the value of landings in Maine is on track to reach its highest annual total since a statewide catch limit was imposed four years ago. With the average price remaining above $2,300 per pound since opening day on March 22, the value of the statewide catch so far was nearly $12.5 million as of Friday evening, which is $337,000 more than the catch value for all of 2017. It represents 4,800 pounds caught statewide since the season started, meaning fishermen have caught only half of Maine’s overall annual catch limit of 9,688 pounds. 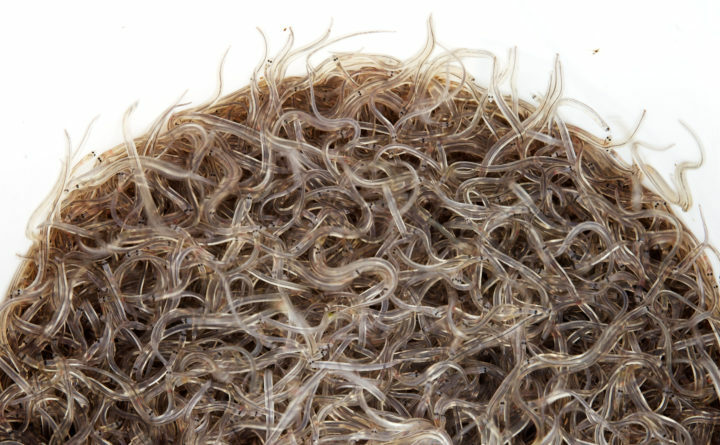 As of Friday evening, dealers were paying fishermen $2,600 per pound on average for baby eels, also known as elvers, the state Department of Marine Resources indicated in a news release. That average is twice as high as it was last year, when elver fishermen earned $1,300 per pound. If the average price paid to fishermen stays above $2,500 through the remainder of the season, and if fishermen reach the statewide catch limit, the value of Maine’s 2018 elver landings would total at least $24 million. “It should put us in the second biggest fishery in Maine,” Darrell Young, co-founder of the Maine Elver Fishermen’s Association, said Friday about the fishery’s anticipated 2018 value. The lobster fishery is the largest, with lobstermen catching $433 million worth of Maine’s signature seafood in 2017. Herring was second to the dominant lobster fishery last year, with landings revenue of $18 million. Young said several elver buyers on Friday dropped the price they are offering to less than $2,500 per pound, but added that he does not think the average price will dip much lower for the remainder of the season. 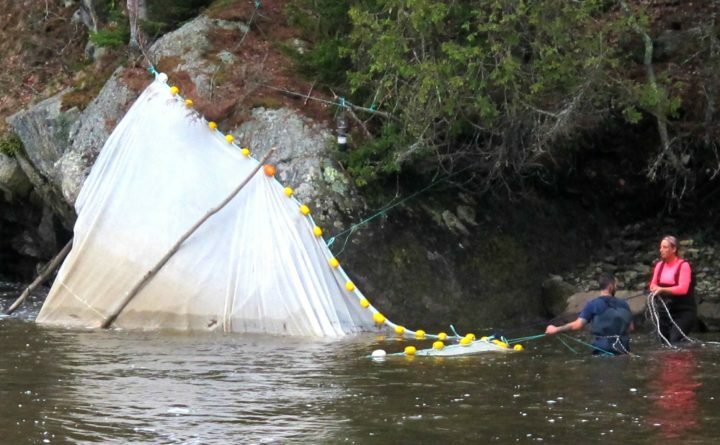 The most lucrative years for Maine’s elver fishery occurred in 2012 and 2013, when there was no regulatory limit on how many elvers fishermen could catch. Maine fishermen caught $40 million worth of juvenile eels in 2012 and $33 million worth the following year. The highest season-long, per pound average price for elvers in Maine was $2,171 in 2015, when a relatively cold spring resulted in fishermen catching only 5,260 pounds for the season. Elver landings in Maine that year had a total value of $11.4 million. Concerns about the health of the American eel population led the Atlantic States Marine Fisheries Commission to impose a statewide catch limit in 2014. Despite those concerns, the U.S. Fish & Wildlife Service decided in 2015 against listing the species under the Endangered Species Act. The vast majority of elvers caught in Maine are shipped live to Asia, where they are raised in aquaculture ponds to adult stage and then harvested as seafood. Maine’s elver fishery is much larger than South Carolina’s, which is the only other state that permits elver fishing. Maine’s 2018 elver season is expected to end on June 7 or whenever the statewide catch quota is reached, whichever happens first.